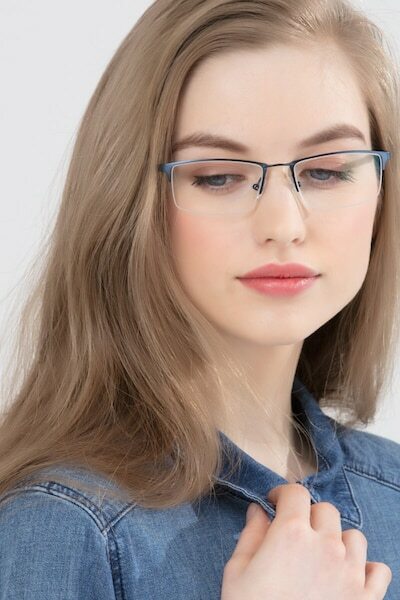 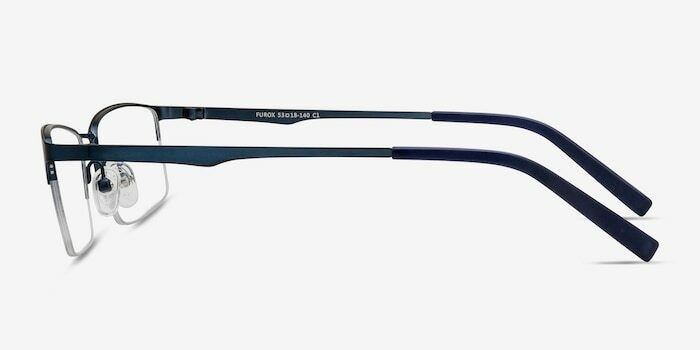 Furox is a classic pair of eyeglasses that go with any occasion. 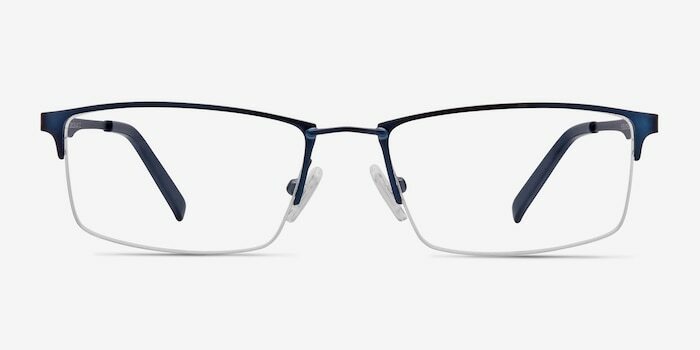 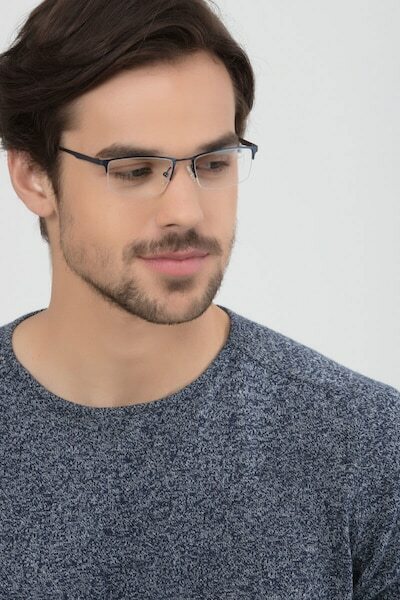 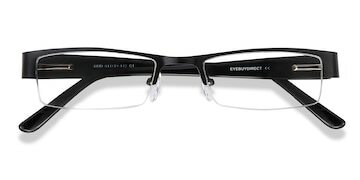 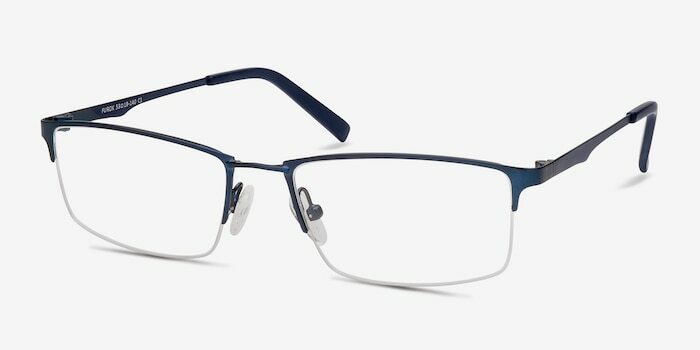 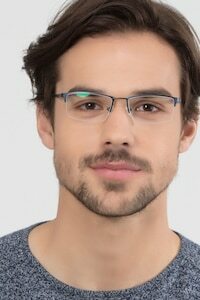 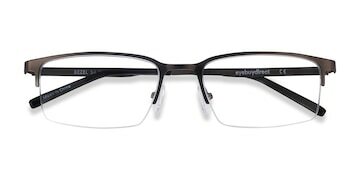 The rectangular lenses are surrounded by a semi-rimless metal frame in navy color. 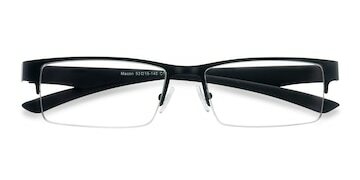 The temples have a subtle design with thoughtful curves to fit this style. 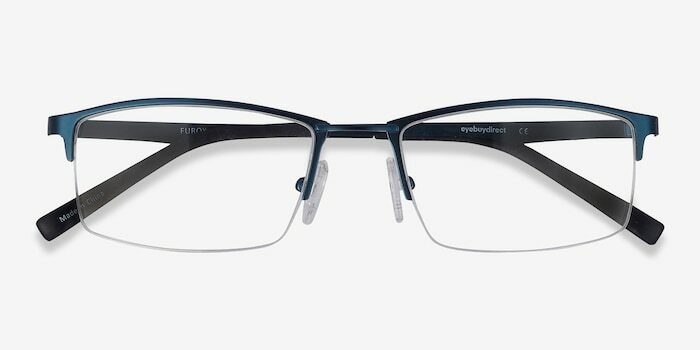 A saddle nose bridge and adjustable nose pads make sure this light-weight pair feel comfortable to wear.